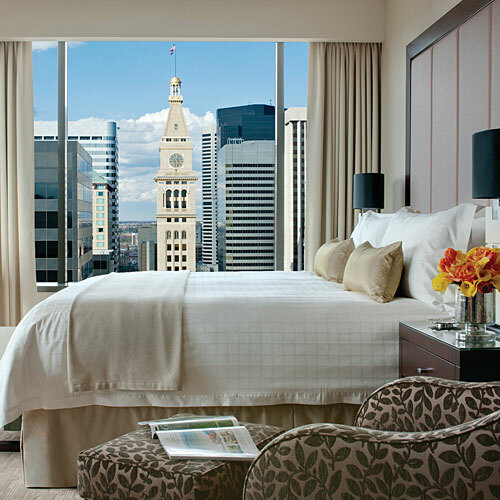 Rooms at the Four Seasons downtown have killer skyline and Rocky Mountain views, plus you can order drinks and bites on the rooftop poolside terrace. When you're ready to leave this oasis, you'll find Denver's Theatre District at your doorstep. Rooms at the Four Seasons downtown have killer skyline and Rocky Mountain views, plus you can order drinks and bites on the rooftop poolside terrace. When you’re ready to leave this oasis, you’ll find Denver’s Theatre District at your doorstep.